DIVISIONS on a racial discrimination clause in the Constitution will likely frustrate plans to recognise indigenous Australians in the founding document. While Prime Minister Tony Abbott and Opposition leader Bill Shorten again offered "bipartisan support", concerns have been voiced by conservative Coalition MPs. But leader Pat Dodson said on Monday racially discriminatory clauses in the Constitution must be removed if the change was to be "substantial". His position was supported by the National Congress of Australia's First Peoples, but it was in conflict with the position of indigenous lawyer Noel Pearson and his supporters. 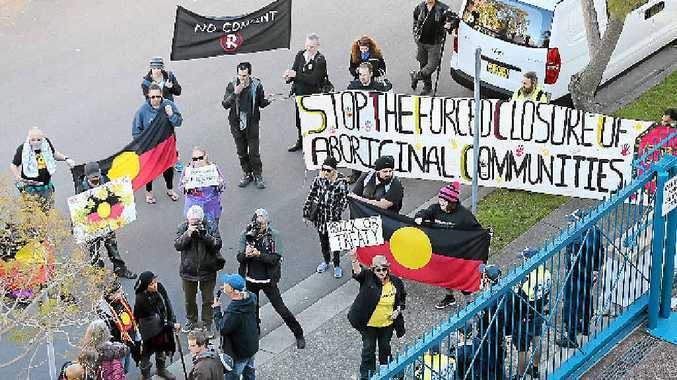 Mr Pearson's proposal for an indigenous body to review national laws has wider support among indigenous leaders, but little support among constitutional conservatives. Mr Abbott has set a 2017 date for a vote, but no set of words has been decided.